Email not displaying correctly? View in your browser. Local News: Suspect sought in Pensacola bank robbery & more! Videos: Check out dumb criminal videos! Crime hot spots: Watch out in areas where there have been multiple incidents. Links go to a map which shows where crimes have occurred in the Pensacola area. Copy and paste them into your address bar. Why Sleep It Off When You Can Drive It Off? Go to www.AVSecurityInc.com to find out more about our products. Haven't had your Annual Fire Certification done through us? 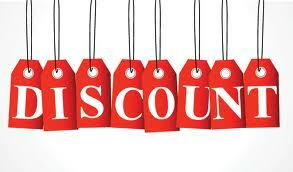 Call 850.484.8882 to schedule it, and we'll give you 10% off the price you paid last year plus an additional $50 off! Need monitoring as well? We'll give you 15% off if you sign the contract the day of the inspection! Just let us know you received this email. Thank you to our business owners that have already entrusted AVS with security systems for your stores, offices, and shops! Give us a call at 850.484.8882 so we can find out what you need to keep your home secure as well! For home, business, and camera security systems, receive a 15%discount with this email notice.